The Flock Book for the Hebridean Sheep Society is know as The Black Book. This ancient breed of sheep of Viking descent, originating from the Western Isles and Highlands of Scotland, survived to the mid Twentieth Century principally as parkland flocks on significant estates in Scotland and England. In 1974 the Rare Breed Survival Trust recognised Hebridean sheep as a breed in danger of extinction and included the breed in their registration programme in the Combined Flock Book. From 1975 a standard numbering system was used for all breeds, with Hebridean sheep being given a serial number prefixed by the letter K. Under the Trust’s care the breed grew steadily and this growth was accelerated by the formation of a Breeders’ Group in 1987. In 1994 the Breeders’ Group was reconstituted to form The Hebridean Sheep Society which assumed responsibility for the pedigree register. During this transition year sheep could be registered either with the Society or with the Combined Flock Book. The Society’s numbering system gives each animal a serial number followed by a two-digit suffix for the year of birth. 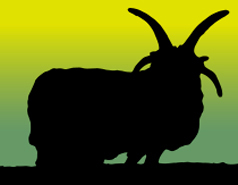 From 1995, The Hebridean Sheep Society became the sole registration authority for Hebridean sheep in the UK. The Flock Book contains all registrations made during the year until it is closed on 31 October. Members can download previous copies of the flock book.